In the intimate setting of Broadcast’s basement, Glaswegian support act Catholic Action strut onto stage to a welcoming roar from the crowd. The obligatory throng of enthusiastic fans at the front surge closer as frontman Chris McCrory insists “I want to be uncomfortable, come close”. The set is a raucous romp through the band’s debut album, varying from the infectious pop sound of Rita Ora to the heavier guitars that accompany the moody lyrics of ‘Breakfast’. Despite a number of sound issues, it’s a brisk but triumphant set for local favourites. Whilst arguably not breaking any new ground musically, the performance is razor sharp and McCrory is a charismatic frontman. The band’s well-deserved ascension in the music world is sure to rapidly progress. Sadly, as Catholic Action disappear, so do half the crowd. Not to the discredit of Kagoule though, as their unique brand of guitar heavy alt rock magnificence floods the room. The performance is assuredly smooth, perhaps as a result of years of practice and humble beginnings as a group of friends at high school. They keep crowd engagement to a minimum, and the last few beats of one tune melt into the next, giving the set an eerily calm momentum. The melodies are catchy and the lyrics occasionally subversive, both a product of Cai Burns’ mind; he also leads vocally, his distinctive yelp complementing the catchy guitar riff in popular song ‘Glue’. More melancholic track ‘Made of Concrete’ showcases the dexterity of bassist Lucy Hatter’s vocals and demonstrates that, whilst embodying 90s grunge, the band is still tuneful. They’ve been dubbed as up and coming (to use a cliché!) by Radio 1, Radio 6 Music and Rolling Stone and have also drawn accurate and very favourable comparisons to Placebo. 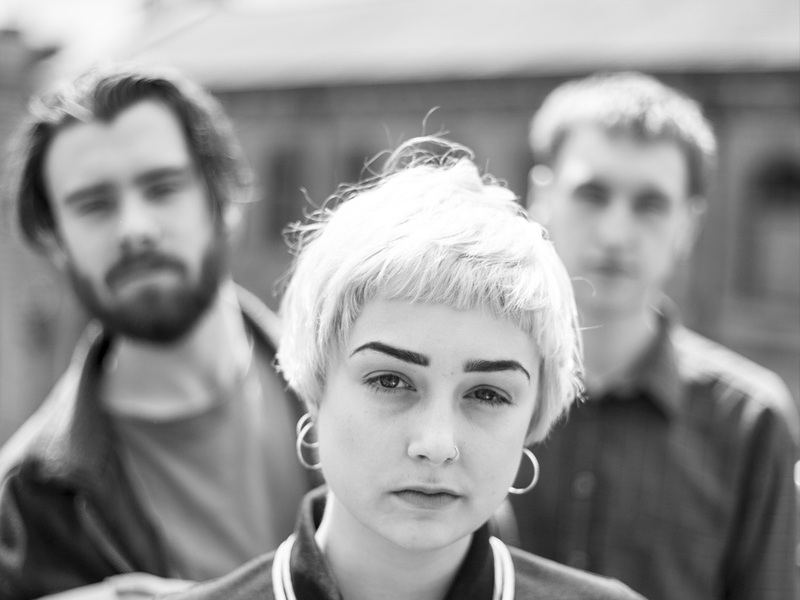 Clearly not yet ground down by a tough touring schedule, Kagoule are simply a group of mates that are having fun doing what they love, and they’re pretty damn good at it.